When I first started Chic Vintage Brides, all of my thoughts were of swoonworthy wedding dresses, little did I anticipate stationery also setting my heart a racing…. but then Wedding Stationery from Momental Designs are more like works of fine art, true treasures! Momental Designs offers handmade, custom Wedding invitations and co-ordinating stationery for the day (as well as other joyous occasions) all featuring the fabulous artwork of creative goddess Kristy Rice. And whilst based in the US, their website has an entire page dedicated to International ordering process! The word Momental describes Kristy’s Philosophy: “Weddings are joyous yet fleeting occasions that deserve the utmost in creative details.” Kristy sees unique and artistic wedding stationery as the details that make an occasion most Memorable. 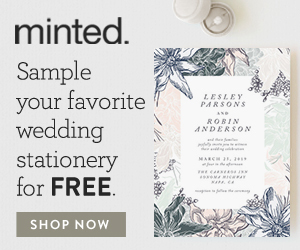 Drawing inspiration from iconic design movements as well as the Masters, Kristy crafts wedding invitations that speak as art with every brushstroke. From the Impressionist masters to Art Nouveau sensibilities this collections nods to the greats who have come before. Classic and simple, the Signature Lacy Tree collection invokes a vintage feel with its sketchy, whimsical lines and dashes of color. How cute would this suite be with matching Vintage Bird Cake Toppers! Full of texture and fussy detail, the Vintage Pattern Hearts collection would evoke the romantic in any guest. Inspired by a drop of morning dew on the petals of a wildflower, this collection exudes radiance as Kristy adds luminous elegant embellishments to dazzle and delight. Lavish and full best describe the Painted Bouquet collection, where richly colored blooms are captured in watercolor tones. Kristy and her team are passionate about transforming invitations into fine works of art and few other collections accomplish this as purely as the Painted Landscapes. In a whimsical style, Kristy captures perfectly the spirit of historic locals and stunning architecture all home to affairs to remember. Borrowing something old, the varying patterns in the Lacy collection are inspired by antique wooden stamps originally carved to imprint fine fabric. Ornately patterned fabrics and elegant textures inspire the Brocades and Damasks collection. Characterized by dance halls, late-night soirees, and the glamour of vintage films, the Old Hollywood collection sparks a nostalgic vibe full of catchy details! The Petals pattern features vividly contoured flowers accented by tiny blossoms and leaves. So many gorgeous designs, the only problem is which one to choose!